Well at least this time they didn’t wait to get rapped on the knuckles by Canadian privacy and security officials. Faced with strong criticism over a feature that allows application developers and third party Web sites to access mobile phone numbers and addresses of some of its users, Facebook announced on Monday that it was temporarily disabling the feature. Basically, the now suspended feature allowed developers to ask for your home address and mobile phone number if you’ve included this information in your profile. Temporarily disabling? Useful feedback? Maybe it’s more like user outrage. Don’t these people get it? Facebook shouldn’t have even proposed such a feature in the first place. But a company like Facebook that has grown to have so much control over the personal data of hundreds of millions of people should know better. Having the ability to gather such information from users and passing it on to third party developers (of which not a few must have some sort of commercial agenda) will lead to SMS spamming, possibly identity theft and fraud. While Facebook later asked users to sign off on the feature before it was enabled, for sure many users were not clear that they were giving permission to app developers and third parties to access their information. “User beware” is a constant refrain we hear about social media. True, countless teenagers and even older users are not aware of their privacy rights or the risks they take when using sites social sites. Still, a company like Facebook that reaps benefits from these users’ blissful ignorance or lack of concern still needs to practice the responsibility of doing what it can to keep its users from danger. I’m not talking about warning labels like we see on cigarette packages. You can’t compare the devastation that comes with cancer to the hassles of spamming. But then again, data theft and spam are actually costing many businesses millions or dollars and bringing distress to many individuals. This is not the first time a Facebook feature has been questioned on issues of privacy risk. Canada’s privacy commissioner is still investigating the site’s popular “Like” button. Facebook has had many run ins with authorities regarding privacy issues. This time, the signs of potential risks should have been visible to Facebook from the onset. It shouldn’t have waited for “useful feedback.” What if Facebook didn’t receive any criticism – would the company have taken this to mean that the social norm has “evolved” to welcome spam and identity theft? 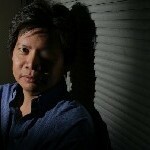 Nestor Arellano is a Senior Writer at ITBUsiness.ca. Follow him at http://twitter.com/nestorarellano on Twitter, read his blogs on ITBusiness.ca Blogs and join the ITBusiness.ca Facebook Page.